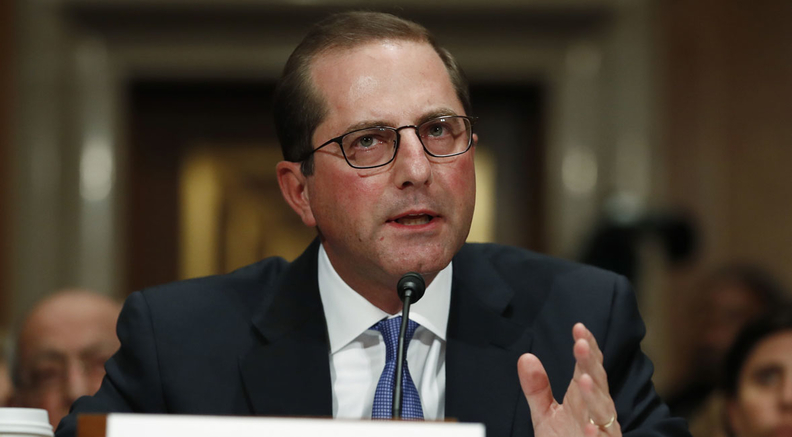 HHS spends over $1 trillion a year on healthcare for seniors and low-income people through Medicare and Medicaid, which far outstrips spending on other federal programs, Azar said. "We believe we could spend less money on healthcare—and, most important, help Americans live healthier lives—if we did a better job of aligning federal health investments with our investments in non-healthcare needs," he said.Azar didn't elaborate on when the model would be launched, but the program could help Medicaid enrollees who need housing. Kaiser Permanente CEO Bernard Tyson said Azar's comments were an example of how the conversation was going in the right direction in terms of how healthcare providers should think about social determinants as part of the whole healthcare ecosystem. But without knowing more of the plan's details, Tyson said the move will likely come through a public-private partnership. "There's a balancing act that we all have to think about because somebody has to pay for it," Tyson said. "But the fact that you're starting to hear that this should be in our discussion inside of the healthcare arena I think is healthy." Medicaid spending hit $592.2 billion in 2017, with federal expenditures accounting for $370.6 billion, or 63%, of that sum, according to federal data. That's up from $580.9 billion in 2016 when federal Medicaid spending was $368.2 billion. "We've all come to understanding that we've got to solve social issues in parallel with health ones," Cattrell said. "Without doing that, you're not going to achieve long-term outcomes." The CMS has approved experiments for housing relating services through Medicaid in California, Illinois, Minnesota and New York. However, none of these efforts outright pays for people's rent because federal law prohibits that, according to Peggy Bailey, director of Health Integration Project at the Center on Budget and Policy Priorities. The CMS determined that 1115 waivers could not be used to pay for housing. Instead, these state programs can pay for assistance in finding housing, home modifications and educating beneficiaries about tenant rights. The CMS has paid rent for Medicaid beneficiaries through the Money Follows the Person Demonstration that was launched in 2008. The program transitioned Medicaid enrollees from an institutional setting back into the community. However, that program was funded by grants rather than Medicaid funds, Bailey said. It was also a relatively small program. At the end of 2016, there were 9,995 participants. In 2008, 289 people participated in the demonstration, according to federal data. But CMMI will be able to target many more enrollees, Bailey said. "Paying for these services on a wider scale would be breaking new ground for sure," Bailey said. Steven Ross Johnson contributed to this report.